Situated in the heart of Central Otago, the Alexandra Tourist Park offers a range of facilities for the holidaymaker who seeks affordable accommodation and easy access to all that this region has to offer. Only 250m from the Otago Central Rail Trail. Power sites for motorhomes/caravans, tent sites, cabins, tourist flats, studio units and park motels available. Facilities are clean and well maintained with the park laid out amongst trees and gardens.Enjoy our BBQ area and outdoor summer swimming pool. Bike lock up and Rail Trailer car park available. Pets are welcome by arrangement only, however pets are excluded from the Holiday Park from 15 December until 15 January. Please be aware that the camp is closed May/June.. 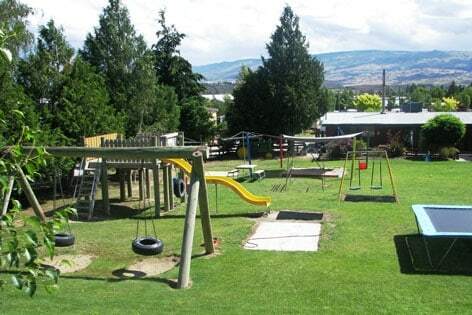 Situated in the heart of Central Otago, the Alexandra Tourist Park offers a range of facilities for the holidaymaker who seeks affordable accommodation and easy . . . More . . .